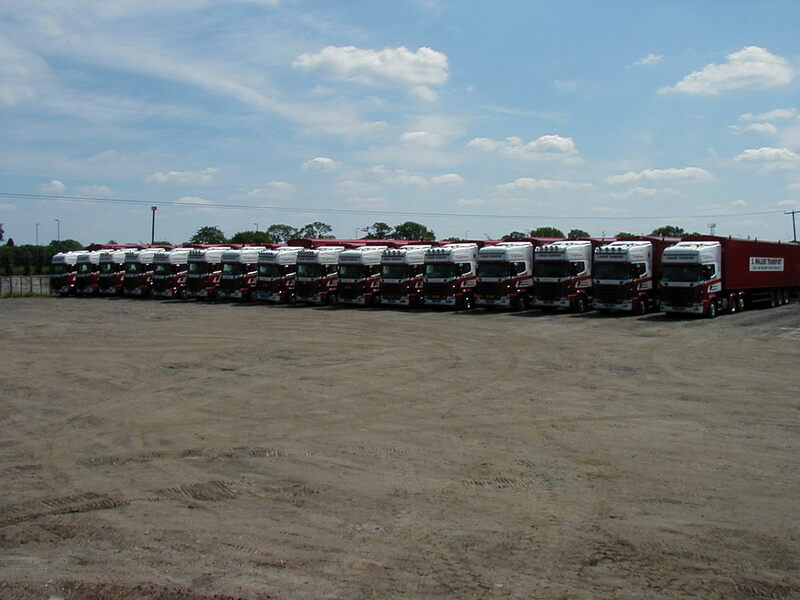 S Walker Transport ltd is ran from our site in Redditch Worcestershire where we have on site our lorry yard. 5 bay workshop and our offices. we now move anything from all sorts of Recycling Waste (loose or baled) to palletstised goods. 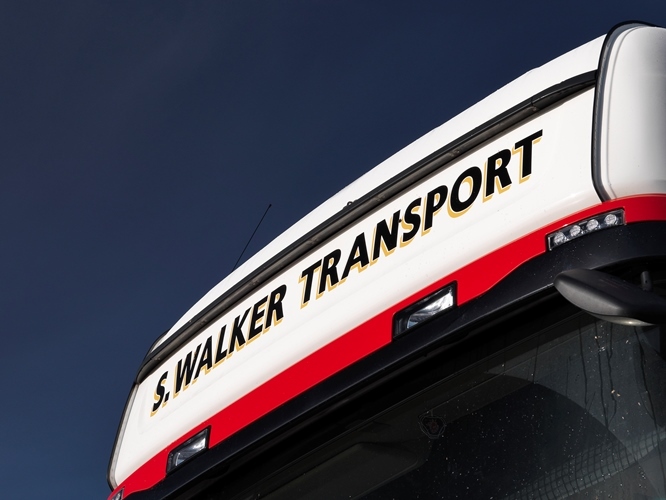 S Walker Transport was founded on the 1st May 1990, the company became LTD in 2001. the company was set up by Steve Walker & Rosie Walker. They started off with there first truck, a scania 6x2 112-330 ( which is now kept for sentmental reasons more than anything). 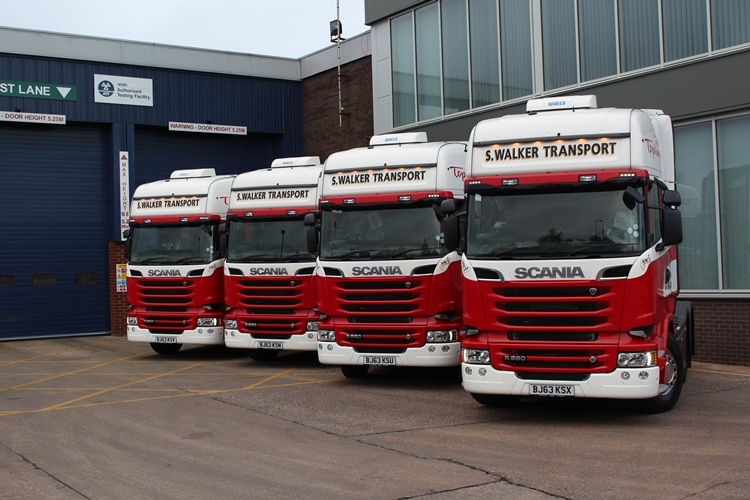 Walkers now operate a pure Scania Fleet with more that 35 vehicles on it. The Company started up with Tippers moving mainly corn they then moved onto Bulk Blowers, using these to move animal feed and sugar beet nuts " we were one of the only hauliers in the area who could blow sugar beet nuts" Steve Walker. The company then progressed from that point to Walking Floor Trailers. " we moved out of corn around the time after farmers were asked to take a cut in the raid paid for delivered product, we knew what was coming so we made a conscious decision to move into another market" Steve Walker. the company then went onto buying their first walking floors buy purchasing two second hand trailers. 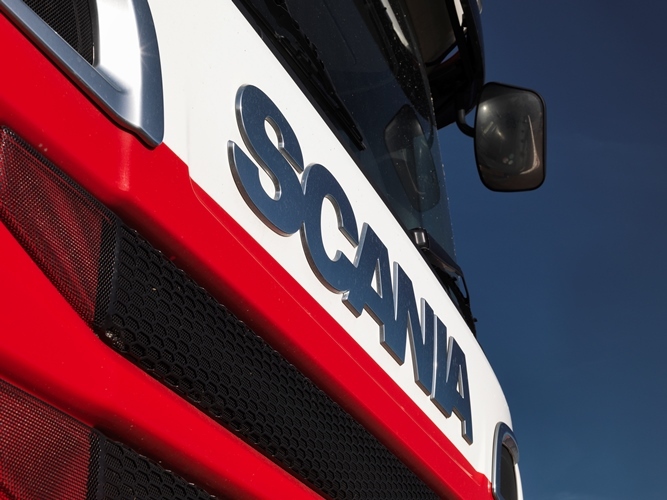 Later on the company went onto buying & Growing the fleet of walking floors and scania vehicles.